We believe our patients deserve to have the information needed to make wise choices about their oral health. We work with our patients so that they can achieve and maintain a beautiful smile and healthy gums and teeth for life. Dr. Zitofsky received the Award for Top Dentist in Cosmetic and Family Dentistry in 2018! This is an award that is nominated and voted on by peers. It is awarded to dentists who earn the trust and respect of colleagues and referring dentists, including specialists in the dental field. Dr. Zitofsky received the award and recognition for America's Most Honored Professionals - Top 10% in 2016, 2017 and 2018! American's Most Honored Professionals Pays tribute to business people who when ranked across professions and industries rise to the top of America's most highly recognized professionals. Dr. Zitofsky is the recipient of the Patient Choice Award in 2013, 2014, 2015 and 2016! Patients' Choice recognition reflects the difference doctors make in the lives of their patients. The honor is bestowed on physicians and dentists who have received near perfect scores, as voted by their patients. Every month, more than 200,000 patients across the U.S. provide online feedback about their experiences with their physicians and dentists. They provide overall opinions and rate various components of care, such as bedside manner, doctor-patient face time, degree of follow-up, and courtesy of office staff. While doctors generally receive positive reviews from their patients, only a select few receive uniformly rave reviews worthy of a Patients’ Choice acknowledgement. In fact, of the nation's 830,000 active doctors, only 5% were accorded this honor by their patients in 2013, 2014, 2015 and 2016. Dr. Zitofsky is also recognized as a 2014 Leading Physician of the World! Selected for their experience, forward thinking, and highest quality of care, The Leading Physicians of the World, are the most distinguished and desired medical professionals from every specialty. Contact us today if you are looking for an office that has the successful combination of state-of-the-art equipment and technology along with excellent old-fashioned, caring and professional services! Please browse through our website and be sure to contact us, if you have any questions or would like to schedule an appointment. 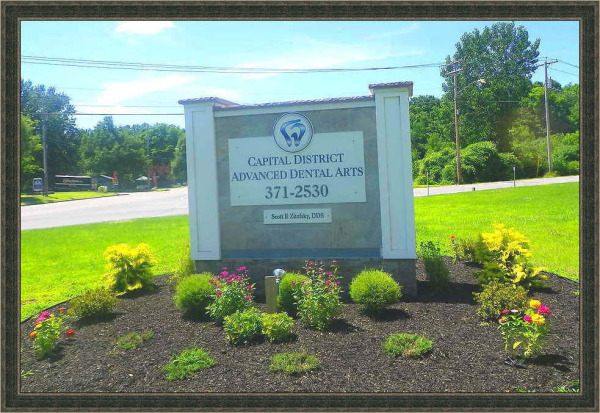 Clifton Park dental office, Capital District Advanced Dental Arts is dedicated to general, family, and cosmetic dentistry with services including dental exams, dental makeovers, teeth whitening, veneers, crowns, x-rays, cleanings, and more. Please call our dentists in Clifton Park, NY to schedule your next appointment.